Divorce mediation is an alternative to litigation that can be less expensive and contentious. New York does not require that spouses mediate or arbitrate their divorce or separation issues, but does allow the mediation process to supplement or bypass the litigation system. New York divorce mediation is a process whereby the parties work with a mediator or mediators who help them reach an agreement. A mediator does not decide matters for the parties or offer an opinion as to what the end result should be. Rather, a mediator outlines issues and helps the parties to arrive at their own resolutions. New York divorce mediation services from Jean M. Mahserjian, Esq., P.C. 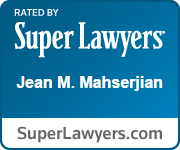 Though two of the attorneys at Jean M. Mahserjian, Esq., P.C. are certified divorce mediators, we do not mediate divorce issues. However, we do counsel spouses during the mediation process. We engage with our clients in thorough “coaching” sessions, which ensure that you are prepared for your negotiating sessions. We deftly steer you towards “global” solutions, rather than allowing the process to get stalled over minutiae. And, most importantly, we make sure you don’t walk into an ambush unprepared. A mediator should not provide legal advice to either party, nor can a mediator provide the in-depth individual advice that each party needs to successfully complete the mediation process. But since you are negotiating terms that will greatly impact the future of your home and family, you should have a professional advocate whose job it is to look out for your interests. 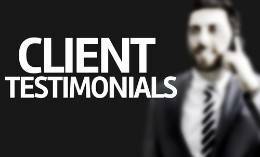 Our Saratoga County attorneys have had great success “coaching up” clients so they are ready for negotiations and can capably make informed decisions. Retaining independent attorneys can increase your upfront costs, but often ensures that your mediated agreement does not fall apart afterwards. Many couples who work without attorneys make it all the way through the divorce mediation process, only to discover that the mediated agreement doesn’t protect some area of their rights. At that point they hire an attorney and have to start all over in court. This is truly a case of an ounce of legal prevention being worth a pound of cure. For additional information on New York divorce mediation, see our Divorce FAQs page. If you have questions about mediation for a Saratoga County lawyer, call Jean M. Mahserjian, Esq., P.C. at (518) 383-1182. We will be happy to schedule an initial appointment at our Clifton Park office. You can also schedule an appointment by contacting us online.